Barry S2 E3 Review: Clever storytelling and big laughs – AiPT! If the first two episodes of Barry laid the groundwork for what this season would be, the third episode has possibly blown some of that up and even injected it with rocket fuel. 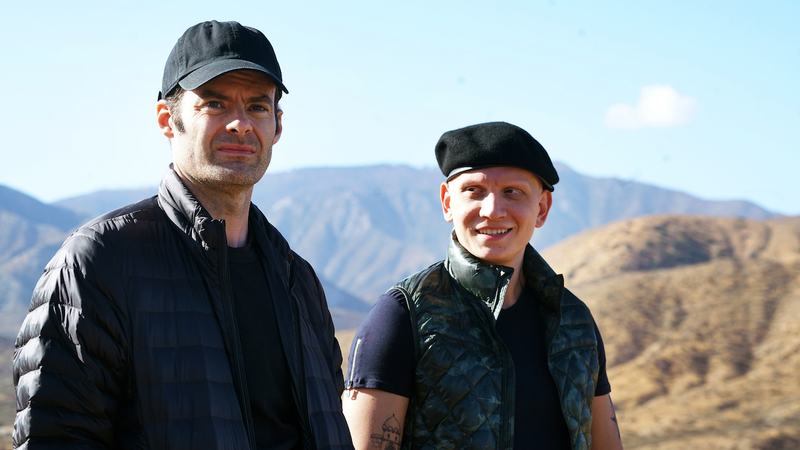 This third episode opens with NoHo (Anthony Carrigan) on a 24-hour news program speaking his mind. It’s odd and seems off and, as we soon learn, it was way off. It’s a dream NoHo is having, which directly influences what he says in real life that gets him in very hot water. This, along with other elements, is highly creative in its approach, pushing the show into new types of storytelling. Typical of this show the drama is real and the acting dead serious. It’s why the first season typically had the biggest laughs with NoHo, because he’s the only character who seems cartoonish in his behavior. This episode is playing a bit more with narrative style however, and it pays off big time. In a scene later on in the episode Barry (Bill Hader) is acting out a moment from his soldier days. Just as he starts to plagiarize a hit war movie, Cousineau (Henry Winkler) barges into the scene taking place in the Middle East. Soon the entire memory breaks apart with characters acting not themselves and further disrupting Barry’s perfect little memory that’s not genuine in the slightest. It’s a great beat and I hope there are more reality-bending moments like it as the series carries forward. The last episode had closed with NoHo basically preparing to go to war with Barry and this episode throws all that out for hilarious effect. In a great sniper scene, Barry dodges bullets and turns the tide. This all leads to a great scene out in the desert as Barry has become a teacher of NoHo’s self-professed great army. It’s not so great and it’ll be fun to see Barry go from contract killer to killer trainer as the series progresses. Sally (Sarah Goldberg) gives a standout performance in this episode, revealing more about the character than we’ve possibly seen yet. We learn things about her past, but also how she has hidden it from others and even herself. This culminates to the final sequence of the episode which pushes Barry to a new limit of patience but then bleeds into one hell of a cliffhanger. I can’t say how episode 4 will turn out, but I imagine there will be a lot of blood. If there was a defining element of this second season it would be that it defies expectations. Munroe (Stephen Root) is proof of that. He opened the season more or less with a surprising amount of buffoonery and has gone to great lengths to save himself. That’s not so surprising, but the turn of events in this episode are. I won’t spoil it, but it appears the show may be developing Munroe for something much more going forward. The only thing that gives me pause is how this show isn’t beholden to what it has set up. If it can set up a threat and then in the very next episode squash that threat, you’ll start to not believe anything will last. It can numb effective storytelling. This is another strong episode of the season and easily the second best so far. It houses some of the funniest laugh out loud moments while delivering clever and creative narrative ideas.